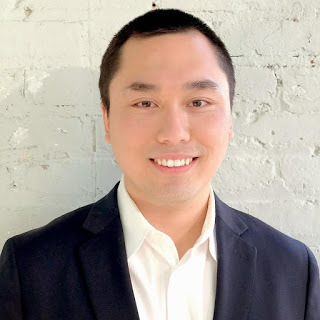 Exclusive to The Daily Corgi from guest blogger Eric Ho. 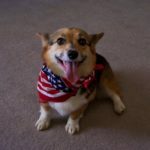 My name is Eric, and I am a passionate, long time fan of Corgis. 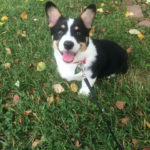 As a native New Yorker born and raised in dog-friendly NYC, I’ve seen my share of breeds, but none captured my heart as deeply or thoroughly as the short, long-bodied, big-eared, stubby-legged, foxy-headed Pembroke Welsh Corgi. Because we lived in a small apartment, my parents didn’t allow us to own any pets besides fish, but I always admired these cute, loyal, sweet, huggable, playful, intelligent dogs. Each time I’d spot a Corgi “in the wild”, I would yell “CORGI!” with the happy abandon of a child. I am a grown man and I still do. (Ed. note: We all do. It’s a thing, and there is no shame in it). Nowadays I’m employed in the tech industry, where emerging technology like 3D printing is becoming mainstream. Companies like Shapeways empower anyone with an idea to bring it to life through 3D printing. My combined love of 3D printing and Corgis inspired me to create unique 3D printed figurines and products for myself and the passionate Corgi community. 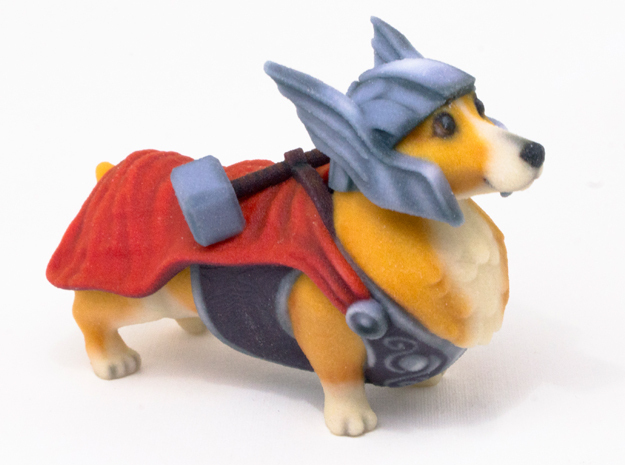 The first venture was a 3D printed “Thorgi” figurine, inspired by a viral photo of Elisa D’Alessandro’s adorable Pembroke Corgi Merlin, costumed as Thorgi, mythical Norse Corgi God of Thunder. In collaboration with award winning Jamaican animator and 3D modeler Corretta Singer, I produced an interpretation of Thorgi and submitted the design to Shapeways for creation. One week later, I held our first fully realized, 3D printed, sandstone Thorgi figurine in my hands! 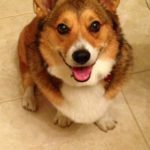 I shared the 3D printed Thorgi figurine on social media, where it was well received by the Corgi community, made up of some of the most creative, intelligent, passionate, and caring people on the planet. This early success spurred me on, as I worked with designer Kostika Spaho on new Corgi figurines inspired by popular costumes, including Lobster Corgi, Banana Corgi, and Karate Corgi. These 3D printed Corgis are more than just figurines; they’re ideas, hopes and dreams manifested as reality through the modern technology of 3D printing! 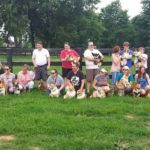 Each 3D printed Corgi, sporting its specific attire, represents a Corgi greater than itself. Any Corgi can be a superhero, packing enough potent superpowers to bring happiness to its people. If my 3D printed Corgis can make a single person smile, it’s all worth it, because a smile is a curve that sets every thing straight. Enter now to WIN your own Thorgi figurine! I'm not the biggest Thor comic or movie fan, but this Thorgi has been slowly changing my mind. 😀 Thanks for the contest! We would provide "Thorgi" a good home. Thanks for the giveaway! Thorgi is nubbin wagging cute, cause I don't just wag this nub for anyone! Also, I was originally named Thunder by my breeder, so bonus points!! 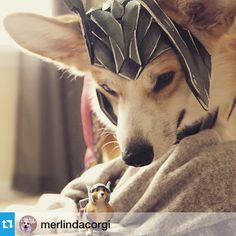 My son loves Thor and Corgis! How awesome! Sidney IS Thorgi and we'd love to win a figurine! This is so awesome !! !